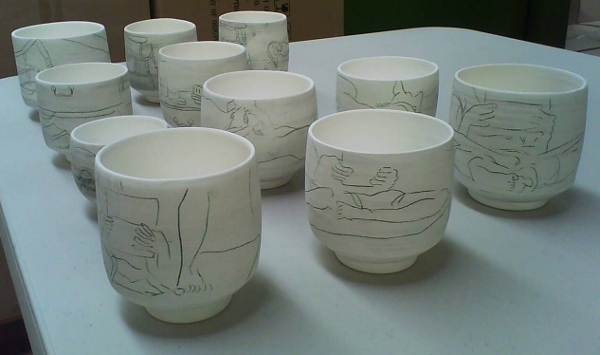 JAC PROmotion 2011: My cups went in the kiln! Love your cup forms, Anne-Maria. Itching to get a good look at your drawings!